What are the Best FHD Display Mobiles, and Why You Should Buy One? Updated On – 03-January-2019 – The Full HD (1920*1080) resolution is the most optimal resolution you can have on your next smartphone. Recently, a lot of phones are also coming with the FHD+ (2160*1080) resolution with either 18:9 aspect ratio or 19:9 aspect ratio (2340*1080). Most of the phones in the range of Rs. 7,000 to 10,000 have HD (1280*720) resolution. The phones over 10K are likely to have FHD display. While the latest mobiles like Samsung Galaxy S9, LG G7 or Google Pixel 2 XL have either 2K ( 2560*1440) or higher resolution. Does HD, Full HD or 2K resolution makes a difference? Understanding FHD Display – The full HD resolution has more pixels per inch compared to an HD or lower resolution display. A 5.5-inch phone with HD display will have 267 PPI (Pixels per Inch), on the other hand, a Full HD mobile (with same screen size) will have 400 Pixels per Inch (PPI). Further, a 2K+ (2880*1440 pixels) smartphone display will have 586 PPI. Better the pixels per inch, better is the text readability, video, image clarity. However, beyond 400 PPI difference is less noticeable. Lots of experts say an HD screen is enough or an FHD is enough, and the human eye can’t differentiate. There are counter views to this theory, which means that high-resolution displays are easier to read and text appears more clear. Also, there is no pixelation of text/images on higher resolution screens. Is FHD Better Compared to HD? In my opinion, after using all three resolution on a mobile, the full HD looks better than the HD, and 2K make it a grade higher. However, the Full HD resolution is recommended, the reading experience between a good quality FHD screen and a 2K screen is not that much for 5-6 inch phones. In case of large size monitors and TV’s difference more noticeable. But at the same time, there is no match for the Quad HD Displays used in phones like LG G6 and S8. These come with much superior display panels that offer higher resolution, brightness, contrast and very accurate color profile. Below Table Shows How Pixel Density Changes with Resolution for a 5.5 Inch Screen Size Mobile. I don’t buy the crap shared by many so-called researchers about the human eye can’t detect the difference between HD Vs. FHD or 2K display, my human eye can. While moving from an HD or lower resolution to FHD, you will find your reading experience becomes much better. Let’s Check out some of the Best Full HD+ (2280*1080) Display smartphones that You can buy currently. 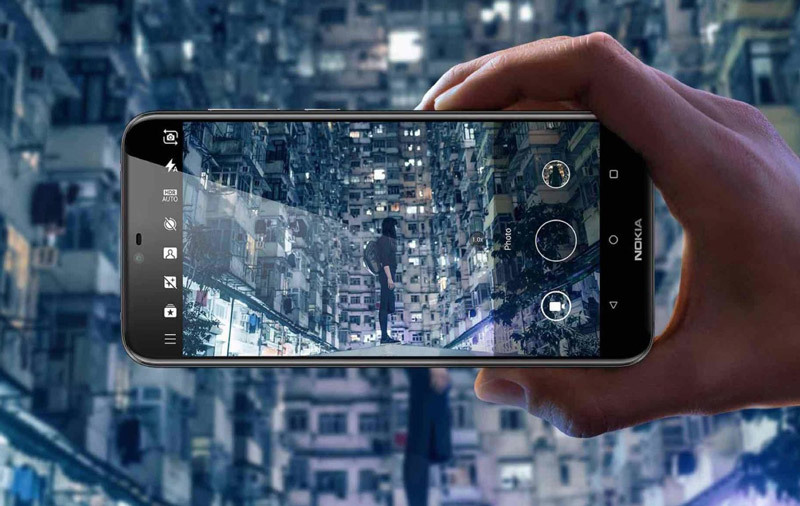 The Nokia 6.1 Plus is one of the top-selling smartphones from the brand and comes with an excellent display for media consumption and reading. The mobile comes with a large 5.8 Inch Display (With a Notch Design) with Full HD+ Resolution (2280 x 1080) ) pixels and offers 403 PPI. The display panel is IPS LCD and comes with a 19:9 aspect ratio and Corning Gorilla Glass protection. The phone comes with a glass back surface and even has the 2.5 D Curved glass coating. The Nokia 6.1 Plus is available from Flipkart and will also be on sale on retail counters in India. Powering the phone is a Qualcomm 636 Processor clocked at 1.8 GHz with Adreno 509 GPU, and it comes with 4 GB DDR4 Ram. Additionally, the mobile runs on the latest Android Oreo 8.1 OS. Moreover, the Nokia 6.1 Plus is part of the Android One program and comes with the stock Android Experience and will even get the Android P Update soon. The phone has ample storage space as it has 64 GB internal storage and also offers support for micro-sd card. For Photography, the phone comes with a Dual Rear camera with 16MP + 5MP setup and has support for portrait mode. Additionally, the front camera is also decent and comes with a 16 Megapixel selfie shooter. The Battery capacity is not very large but it comes with a 3060 mAH with a 5V/2A fast charger. Lastly, it even has the Bluetooth 5.0, 3.5 mm headphone jack and Dual Sim support. PROS – Low Price – Great FHD+ Display, Ideal for gaming. 2. Robust Build and Beautiful design. CONS – Battery Capacity is not too large. Lenovo Z5 has arguably the best processor below Rs. 14,700 and it comes with Qualcomm Snapdragon 636 processor. 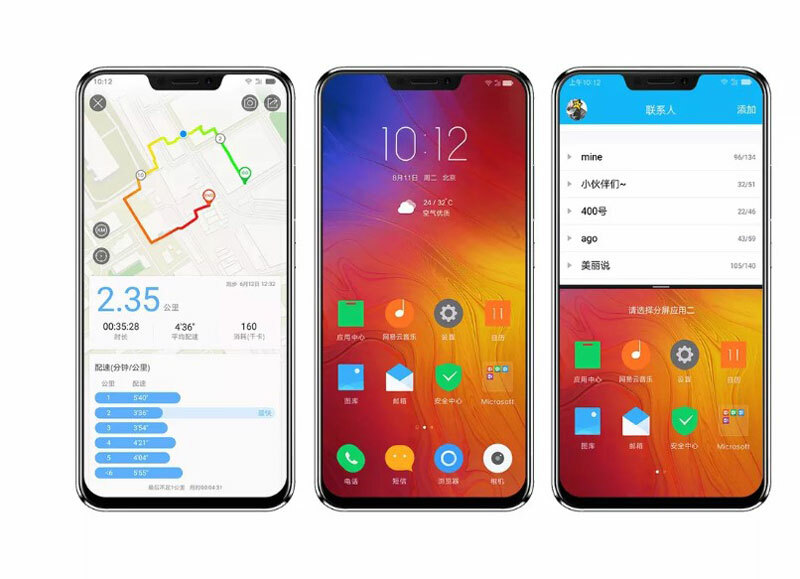 The Lenovo Z5 is a phablet-sized phone with a notch on its display and offers a 6.2-inch screen size. The display comes with 19:9 aspect ratio and is protected by the Corning Gorilla Glass as well as has a 2.5D curved glass coating. Notably, the screen has 700 nits maximum brightness and comes with DCPI-3 color gamut. The phone looks substantially similar to Apple iPhone X due with the notch at the top of its display, and a vertical dual-camera module on its rear side. The processor is coupled with 6 GB of RAM and 64 GB /128 GB of internal storage. Unfortunately, there is no support for microSD card. The Lenovo Z5 is powered by a respectable 3300 mAh battery pack which supports fast charging using an 18W power adapter. It runs on Android 8.0 Oreo with ZUI 4.0 skin on top. There’s dual 16 MP + 5 MP rear camera with PDAF and dual-LED dual-tone flash, and an 8 MP front camera. It is yet to be seen how well the cameras will perform. The phone comes with a fingerprint scanner at the back, whereas it has Dual-SIM support as well. The Huawei Honor 7X was launched in February 2018 and comes with a 5.93-inch Full HD+ Display, with 407 PPI (pixel density). Unlike the Honor 6X, it comes with an 18:9 aspect ratio and a Full Vision Display with least amount of Bezels. Also, the display has a 2.5D Curved glass coating for better usability. Moreover, it has a robust metallic build and comes with a Dual Rear camera. The 7X measures 7.6 mm in thickness and weighs 165 grams. The 32 GB version is available for Rs. 12,999 while the 64 GB storage version costs Rs 15,999. Powering the phone is the Huawei made Kirin 659 Octa-Core SOC, which has a maximum clock speed of 2.3 GHz. For photography, it has a Dual rear camera, 16-megapixel lens along with a 2 MP shooter. At the front, it has an 8-megapixel selfie camera. The device runs Android Nougat 7.1 with EMUI 5.1 on top of it and is upgradable to Android Oreo. The battery is 3430 mAh sufficient to run all day. Also, the metallic phone comes with a fingerprint scanner at the back. Lastly, it has a Dual SIM slot that supports both Nano and micro SIM cards. Notably, both the slots support 4G connectivity. Other features of this phone are smart PA audio, rear-mounted fingerprint scanner. PROS – 1. Great Metallic Design, Full Vision FHD+ Display. 2. Excellent Battery Life with huge 3430 mAh battery capacity 3. Dual Rear Camera Setup. CONS –Performance could have been better. 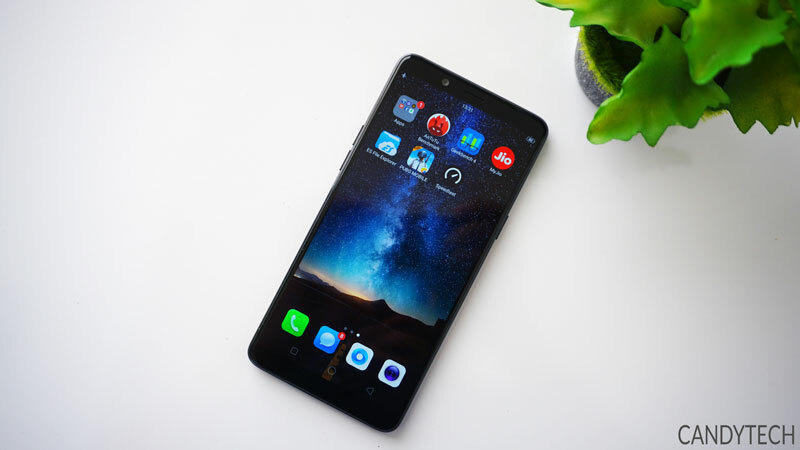 Honor 7X is an excellent mobile at a reasonable price, with 2180*1080 screen bezel-less display, excellent for reading, net surfing and watching movies. No 5 on the list of 8 Best Full HD 1080P Phones is the Samsung J7 Pro. Samsung J7 Pro is the latest mobile from Samsung that offers a great display, camera and battery life. It is an expensive phone and is priced at Rs. 20,990. The Key Highlight of the Samsung J7 Pro is its excellent display which comes with a SUPER AMOLED panel. The Super AMOLED panel is superior to the IPS LCD display used in most phones and offers much higher contrast ratios and legibility. The display apart from having more vivid colors also consumes less energy compared to IPS LCD panels. The Samsung J7 Pro comes with a 5.5 Inch display and also has a 2.5D Curved glass that enhances its looks. Apart from a stunning display, the J7 Pro has a massive 3600 mAH capacity battery which works all day. The battery can be charged quickly using fast charging technology. Powering the J7 Pro is Octa-Core Exynos 7870 processor clocked at 1.6 GHz and also comes with the Mali T830 GPU. The phone has 3 GB ram and comes with 64 GB onboard storage, expandable to 256 GB. The mobile runs on the Samsung Touch Wiz UI and has Android Nougat 7.0 OS. It also comes with a 13 MP rear camera having an f/1.7 aperture. At the front has a brilliant 13 MP selfie camera with a f/1.9 aperture. The phone comes with a fingerprint scanner, Samsung Pay and also has the USB Type C Port. The J7 Pro comes with a glass back design and looks very premium. PROS – Great Super AMOLED Display. Good Design and Camera. CONS – 3 GB RAM is Less. The No. 6 on our list is the Asus Zenfone 3. Asus Zenfone Max Pro M1 was launched in April 2018 and is available to purchase for Rs. 10,999. 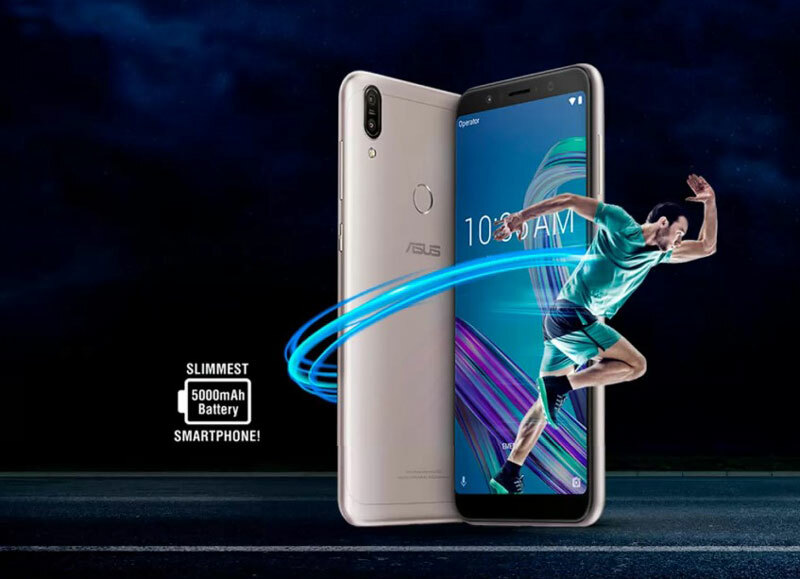 Asus Zenfone Max Pro M1 comes with very large 5.99-inch IPS LCD touchscreen display that has a resolution of 1080 x 2160 pixels with a pixel density of 402 PPI. The display is vivid and it is a pleasure to read text or watch videos on the screen. Notably, it comes with a 1500:1 contrast ratio but lacks the Corning Gorilla glass protection. So, you may want to use a tempered glass with this device. The mobile comes with an aluminum body and is available in Black and Gray colors. The Asus has a Dual 13 MP (f/2.2) + 5 MP (f/2.4) rear camera module which comes with phase detection auto-focus and an LED flash. The rear camera is capable of shooting 2160p videos at the frame rate of 30fps, and full HD videos at 30/60fps. Whereas, its front camera is honorable with an 8-megapixel sensor with an LED flash. Powering the phone is a Qualcomm Snapdragon 636 processor with Adreno 509 processor. The device runs on Android 8.1 Oreo operating system with a custom ZUI skin on top of it. There is 32 GB inbuilt storage which can be expanded to 128 GB with a microSD card. The phone also comes with the Dual Sim, 4G Volte support along with the Fingerprint scanner at the back. The Zenfone Max Pro M1 comes with a huge 5000 mAh battery that can easily last a day with very heavy usage too. Related – 7 Latest Android Phones With Quad HD Display (2K). RealME 1 is one of the latest mid-range phones that come with a bezel-less display panel. The RealME 1 comes with a 6.0 Full Vision display with Full HD+ Resolution (2160*1080 pixels) offering 401 pixels per inch screen density. The display occupies the full front side, and it looks similar to the more expensive phones. I have tested and reviewed the RealMe 1 and the mobile looks great both from the display perspective as well as from the rear design. Powering the RealME 1 is the 8 Cores Helio P60 Processor that comes with 2.0 GHz clock speed and there is Mali G72 MP 3 GPU. The performance of the device is top notch and you would love to watch videos and read text on this mobile. The mobile has 32/64 GB of internal storage and comes with 3GB/4GB/6 GB of Ram. However, the RealME 1 misses on the Fingerprint Scanner but has super fast Face unlocking feature. The mobile comes with a 13 Megapixel rear camera (f/2.2) with autofocus and LED Flash. At the front, there is a 5 Megapixel (f/2.2) shooter for clicking selfies. The phone comes with a 3400 mAH capacity battery that is sufficient to sail it through the day. Lastly, it runs on the latest Android Oreo 8.1 OS and comes with the Color OS 5.1. PROS – Great Full Vision Display with FHD Plus resolution, Runs on Android Oreo 8.1, Fast Processor. CONS – No fingerprint Scanner. Related – 10 Best Android Phones Under Rs. 15,000. PROS – Stock Android Experience, Good Camera. CONS – Design and Looks could have been better. The Xiaomi Redmi Note 5 Pro is the latest phone from Xiaomi and is selling like hot cakes in India. The phone comes with an uncanny resemblance to the iPhone X that costs over 90k and offers a premium metallic finish and design. The large 5.99 Inch FHD+ (2160*1080 pixels) display ensures that you enjoy watching videos and reading text on this stunning phone. It even comes with Corning Gorilla Glass protection and has 2.5D Curved glass surface. What’s more, it has Snapdragon 636 Octa-Core processor and the Adreno 509 GPU that ensures a lag-free gaming experience no matter which Android Game you throw at it. Furthermore, it packs a massive 4000 mAH battery that offers fast charging support to ensure you never run out of juice. You can buy the Redmi Note 5 Pro for Rs. 13,999 for the 4 GB RAM and 64 GB storage version, also it is available for Rs. 16,999 with same storage but 6 GB of Ram. The main highlight of the phone is its Dual 12 MP+ 5 MP rear camera with f/2.0 aperture that can click great portrait shots. Another noteworthy feature is the 20 Megapixel front selfie camera that is capable of clicking detailed selfies to boost your social media game. Screen- 5.98-inch FHD+ IPS LCD display with 18:9 Aspect Ratio. Processor- Qualcomm Snapdragon 636 Octa-Core Processor with Adreno 509 GPU. Storage- 64GB internal storage space, expandable using micro-sd card. Camera- Dual 12 MP+ 5MP rear and single 20 MP front Selfie camera. Battery- 4000 mAh with QC 2.0. Price – Rs. 13,999 onwards. Pros – Powerful processor, Longer battery life, Great FHD+ Display. Cons – Not really at this price point. However, USB type C port is missing. Read More About the Xiaomi Redmi Note 5 PRO. Xiaomi launched the Xiaomi Redmi Note 5 in the Indian market in February 2018, as the successor to the very popular Redmi Note 4 smartphone. The Xiaomi Redmi Note 5 comes with a powerful & efficient processor that you can get in this price range; the Qualcomm Snapdragon 625 clocked at 2.0 GHz. It comes with Adreno 506 GPU which offers excellent performance for gaming. The smartphone has got a mammoth battery with 4000 mAH capacity that can easily go on for 1-2 days. The Xiaomi Redmi Note 5 has a gigantic 6.0-inch display with Full HD+ resolution (1080*2160 pixels), offering 403 PPI. There is also a 2.5D curved glass which improves the touch and feel of the display. The phone runs on the Android Nougat 7.1.2 along with the Xiaomi MIUI 9.5. Besides, it has Hybrid Dual-Sim Support and offers 4G LTE / VOLTE connectivity. It weighs 180 grams and has a thickness of 8.1 mm. The Dual sim phone even comes with a fingerprint scanner at the back of the device for quick unlocking. 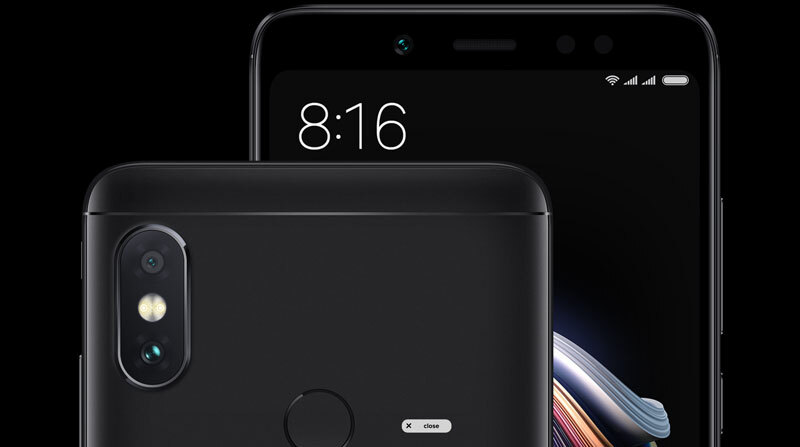 The Xiaomi phone has a 12 MP rear camera with phase detection auto-focus, and Dual-Led dual-tone flash, and there is a 5 MP camera on the front for taking selfies. It is one of the best mobiles to buy in 10k to 12K range. PROS –Great design and build quality, Low Cost, Full HD+ Bezel-free screen, Efficient Processor. You can read more about the Xiaomi Redmi Note 5 here. If you have any questions or would like to add something to the above story, please share in comments below. I Think Redmi Note 4 is the best choice for gamer because i am using it and this gives ultimate performace but camera quality is not that good. Mi 6…… BUT you have to wait for a month. I Want to buy a smartphone that has full HD & 4gb ram with good battery. Camera must be Excelent. Should be latest Processor . I want to read books on mobile n games . I m in confusion plz guide me. My budget is 10000 To 15000. I am waiting for Nokia 6 . Two sim not hybrid sim slot 5 inch 3gb ram the best mob. I want to know about Lenovo k5 plus 3gb ram camera quality, is it good ? I’m game lover so can you please help me which mobile will I buy that won’t heat when we play high definition games playing for long time. does lenovo vibe x3 have the good audio recording quality? This month is the best I can say for Now ! sir tell me there is any heating issue in motorola x play i am planing to purchase. No it is good …. or i have just listen ki iska company v change ho kya…..
Sir I’m looking for full display mobile.5 inch display. .price range 10000/- to 20000/- which one is the best? जिसका ppi बेस्ट और हैंडसेट टिकाऊ हो……..? How about Moto X play ?? Lots of Android smartphone manufacturers pilingup the market with their junk,it is very hard to classify which is the best one.instead have a good idea, what you need in a smartphone,and what use you are going to make out of that.buy.and stop worrying about the other devices comparing with yours.